In teaching thinking skills I’ve often been asked, “Isn’t this just the same as positive thinking?” My answer, of course, is NO. Everything in life is not positive. Many things are indeed negative. Pretending they are positive can be a barrier to effective thinking. Quite far from positive thinking the kind of design thinking we promote in SOT (with tools and apps like cvs2bvs) is how to take the things that you have and design ways to add value or make them better. Just pretending things will be positive is not design thinking. Hope (or prayer, for that matter) is NOT a strategy. If you’ve got ten minutes, here’s an animated discussion of the negatives of “positive thinking” by Barbara Ehrenreich. 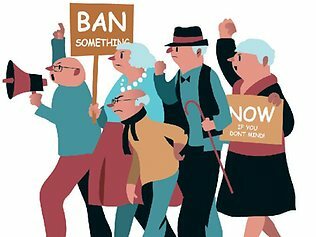 Baby Boomers No Longer Babies! My proposition in this post is that the generation known as the Baby Boomer generation may be the wisest generation in the history of the world! OK. I’ll declare up front that this claim may seem self-serving since I’m a founding life member of that geriatric generation (born 1947). Now that we have that little secret out of the way let me suggest two legitimate reasons as to why this is a valid claim. One reason is quantitative and the other is qualitative. And, if it’s true, what is the point of this insight anyway? 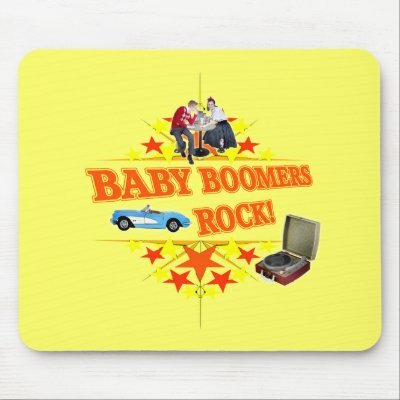 It is widely acknowledged that the Boomers, the baby boom generation, is still the biggest generation in the history of the world. In terms of years lived, Boomers have more 50+ members than any other generation. It is the largest of all geriatric generations. And most critically of all, Boomers have a vast database of memory. More memory-power than any generation in human history. The life experience of surviving for a complete 25-year generation through childhood, adolescence and adulthood endows metacognitive memory and long-term perspective that a child’s brain simply cannot match. To do this TWICE (to achieve 50 years of survival through two or more generations) allows the brain to build a deep database of experiential memory which offers a perspective of history, an understanding of long term consequences, a faculty for prediction and a wisdom that cannot be acquired in any other way. It takes half a century of survival and making a living. So, Boomers are Grey Hat thinkers. Grey Hat Thinking is the ability to see consequences, immediate, short term and long term. It is the abilityÂ to look back over history and to see forward into the future. To be able to think beyond the short-term of 1o – 100 months. To understand cycles, passages of time, the passing of fashions, eras, eons and the many possible futures including extinction, the possibility of no future at all. Grey (Gray: US) Hat Thinking also means the wisdom to see other points of view. It includes the sagacity of patience to see beyond one’s own immediate viewpoint and the wisdom to see the viewpoints of others involved in situations: your partner’s viewpoint, your children’s, your children’s children, your neighbour’s, your customer’s, your enemy’s. The wisdom of Grey Hat Thinking comes from long term survival and decades of real-life problem-solving in the four major areas of health, wealth, productivity and security. Boomers have failed many times along the way. Boomers have made more mistakes than any other generation. You can’t acquire wisdom without lots of mistakes and without the memory of those mistakes. Wisdom emerges from mistake-memory. From the hard won, labour-intensive experience gained from having to design solutions for life’s wide range of random and unexpected problems and havingÂ survived life’s experiments and mistakes across multi-changing environments over several generations and for an extended period of time. Even though we may not be able to teach children to do Grey Hat Thinking we can still raise their consciousness and teach them to understand what it is—to recognise it—to appreciate it, to value it, to exploit it, to consult it, and to seek it our wherever it can be found. – All this grey wisdom may be a very useful and timely strategic resource for the future. – There is an accelerating need for more grey hat thinking than there has ever been before. – Some of the most difficult decisions in history will have to be made in the next few decades. – The quality of the future will be a direct consequence of the quality of the decisions that are made. Go ahead. Ask a boomer!